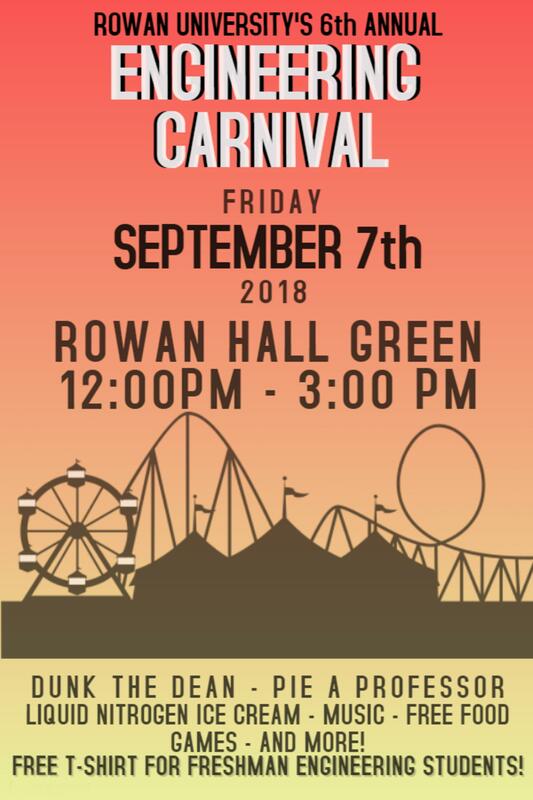 Due to predicted inclement weather on Friday, Sept. 7, the Henry M. Rowan College of Engineering at Rowan University will host its 6th annual Engineering Carnival on Friday, Sept. 14, from noon to 3 p.m. on the Rowan Hall Green off Bowe Boulevard in Glassboro. Students are invited to enjoy an afternoon with the College of Engineering faculty, staff and alumni as they officially welcome the Class of 2022. Attendees will have a chance to send the dean into the icy waters of a dunk tank and pie a professor. 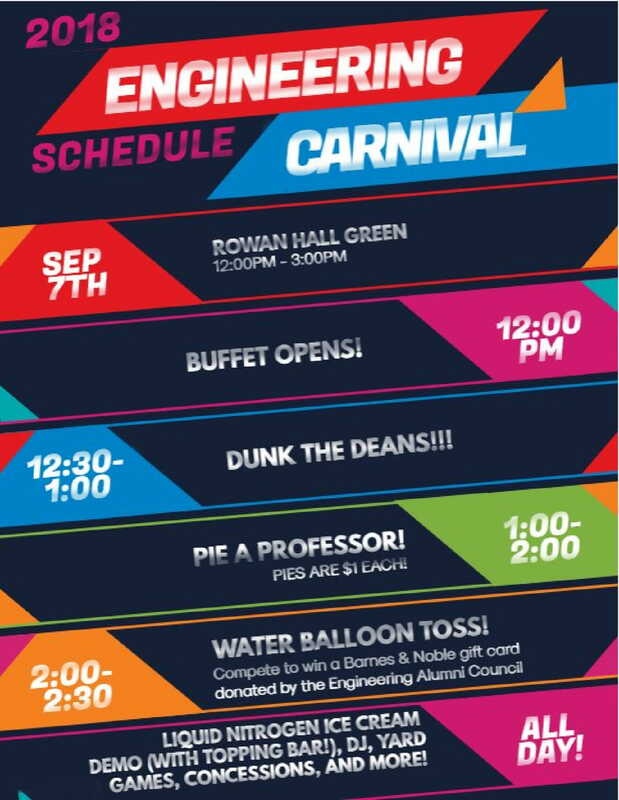 The Engineering Carnival will feature games, giveaways and goodies. A barbecue buffet, popcorn, cotton candy, and liquid nitrogen ice cream – along with other carnival staples – are on the menu.